In 2014, a record 10,000 students earned graduate and undergraduate degrees from AMU and APU. And excited to see great results with their LRM implementation! We are taking steps to further improve success, particularly among new students in high-enrollment gateway courses. In 2014, we completed a successful pilot of the new ClearPath Learning Relationship Management (LRM) System, a social media tool that fosters engagement and collaboration. The results: ClearPath users, on average, completed the enrollment and transfer credit process at a higher rate, had lower withdrawals and drops, exhibited a higher GPA in their initial courses, and registered for subsequent classes earlier than those in the larger student population. In 2015, we expect to open ClearPath to all undergraduate APUS students as part of our ongoing effort to support their success. As chronicled on this blog previous, Competency-Based Education (CBE) is enjoying a meteoric rise in Higher Education. And today, its growth has led to a major acquisition, as SIS vendor Ellucian has purchased Helix’s LMS. 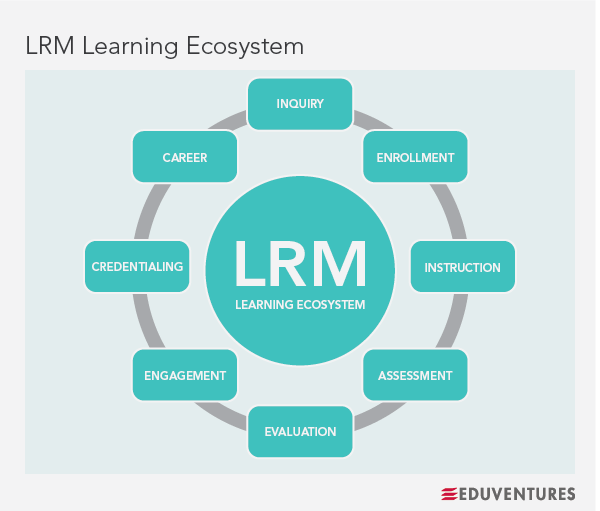 This could still break many ways, but we believe that the emerging Learning Relationship Management (LRM) system category—led by players like Fidelis Education and Motivis—will play a big role in supporting this. American Public University System’s Dr. Sharon van Wyk not only served on Fidelis’s board, but she also helped to develop Learning Relationship Management (LRM) through a close collaboration with our team. Learn about her experience pioneering this ground-breaking new category in conversation with Fidelis’s CEO, Gunnar Counselman in a new podcast. Thanks to Dr. Wally Boston, APUS’s CEO, for hosting the conversation on his blog! What is an LRM? First off, LRM is a process that unites various tools and technologies to achieve the look, feel, and functionality of an LMS. This process combines learning modules and assessment features with other capabilities, namely a constituent relationship management platform (CRM), a student success or retention solution (or many solutions rolled up into one), and predictive analytics. This approach offers not only the utility of a central and scalable repository for learning, but also robust records management and an analytics engine capable of tracking individual learner progress, staging interventions when necessary, and mapping student progress to learning objectives and career outcomes. In other words, LRM offers a holistic student success solution that the education world has never before experienced.